Lawnscaping’s Coffee Blog Hop kicks off today! Hi, everybody! 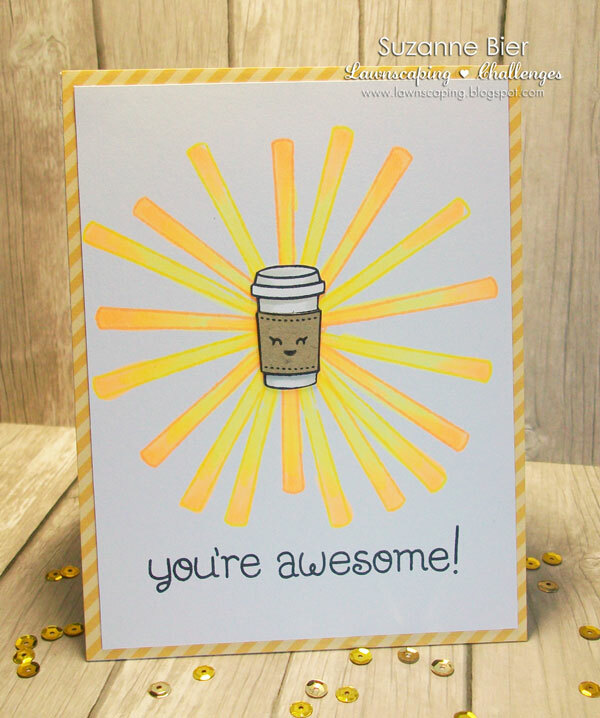 There’s a fun coffee-themed blog hop kicking off today at the Lawnscaping Challenge blog, with 40 hoppers and 9 sponsors! The FIT team isn’t participating in the hop today, but I made a quick card to promote the event! For the full hop list, and the details on the hop deadline and prizes, visit the Lawnscaping blog! Make It Crafty CAS Challenge #3 – Shaker Cards!